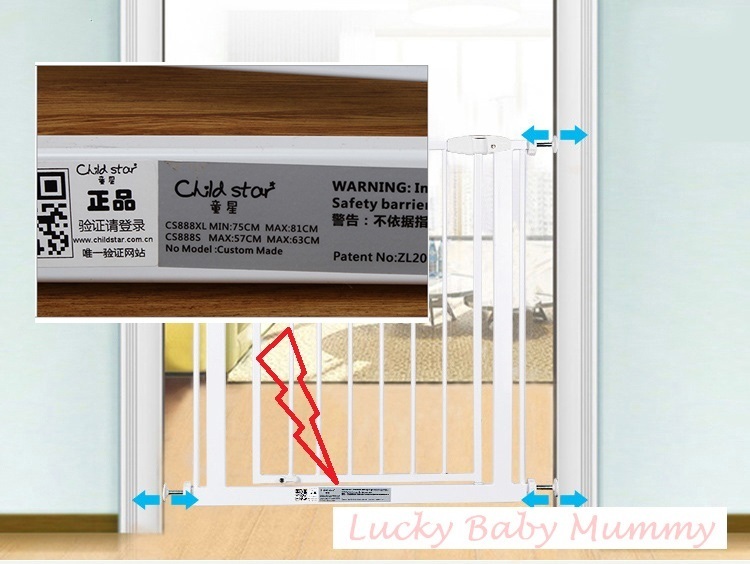 Notice: Recently some customers claim that the screws are different from manual. 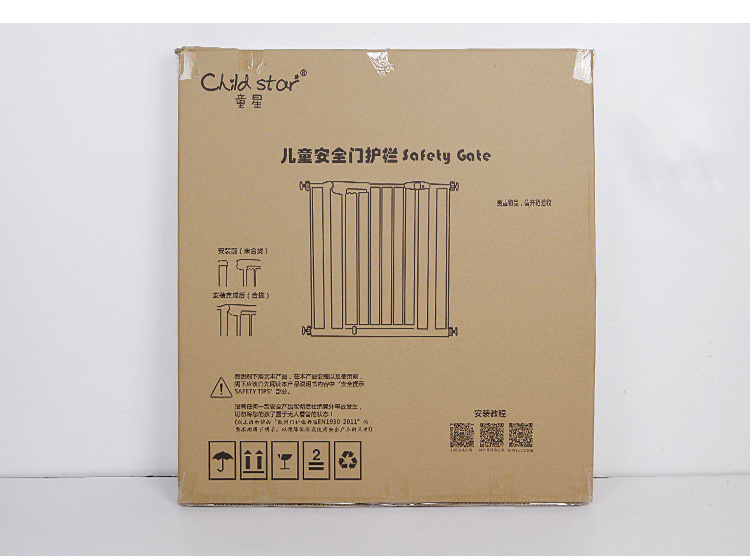 This is the lastest version of screws, which won't harm the walls during installation. 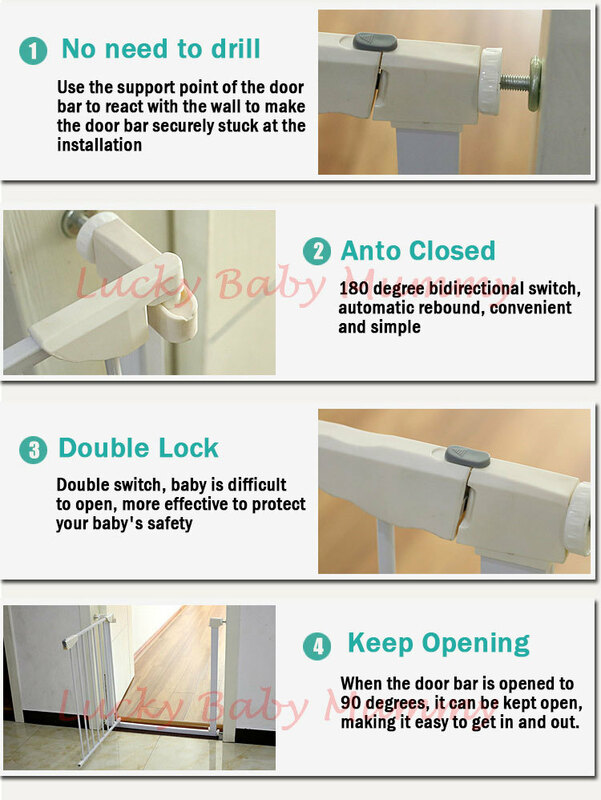 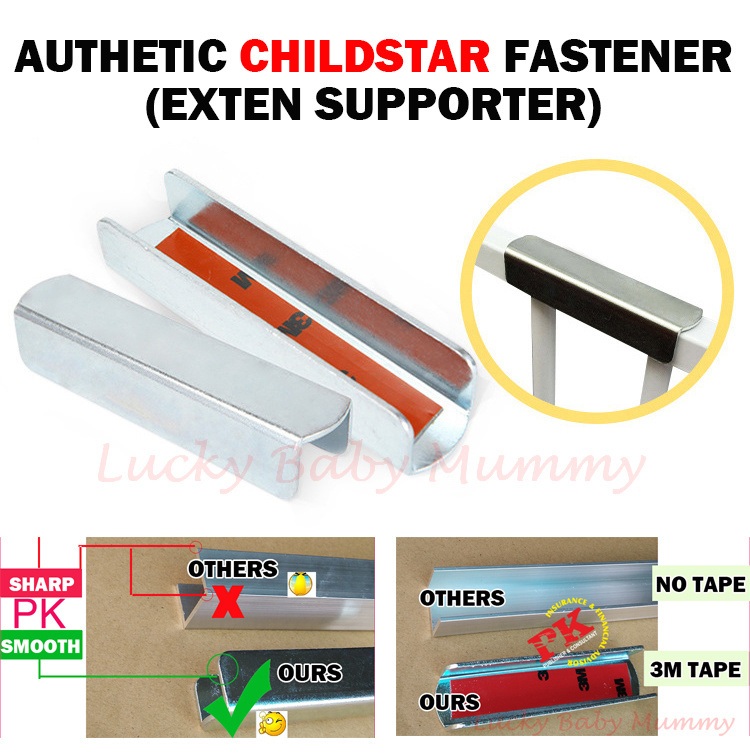 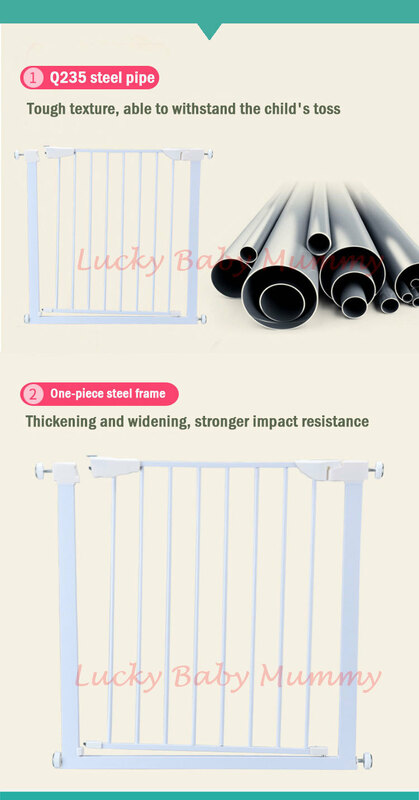 Pls follow our following video to install the gate. 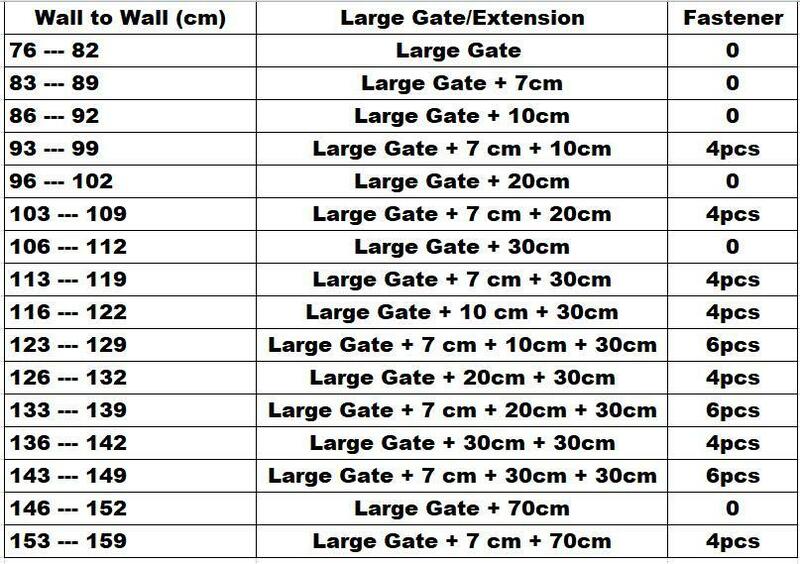 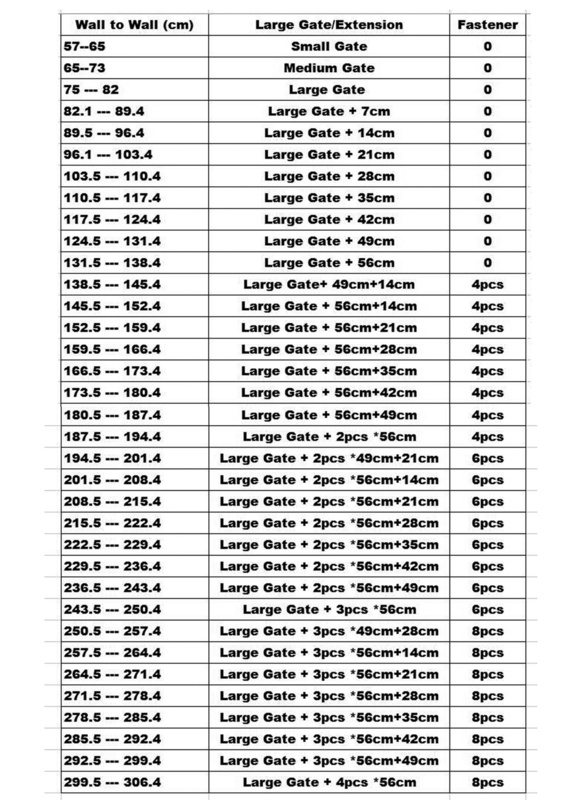 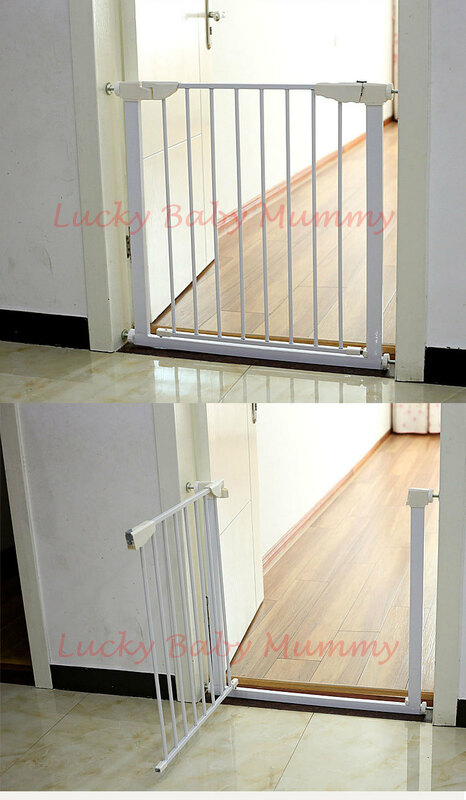 Remark: 100cm height gate is new stocked. 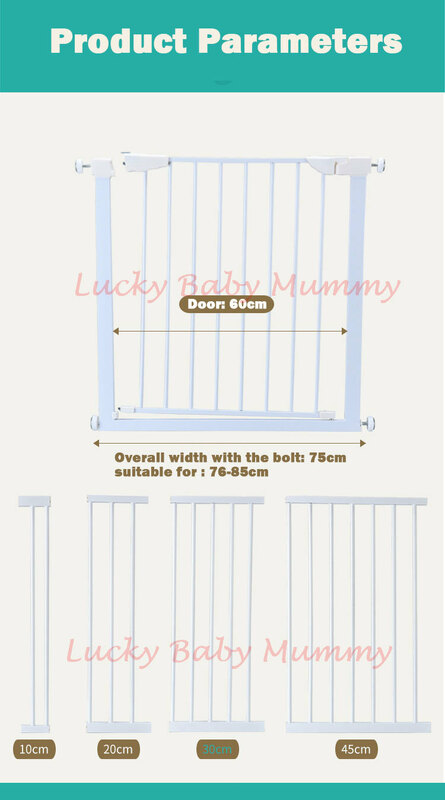 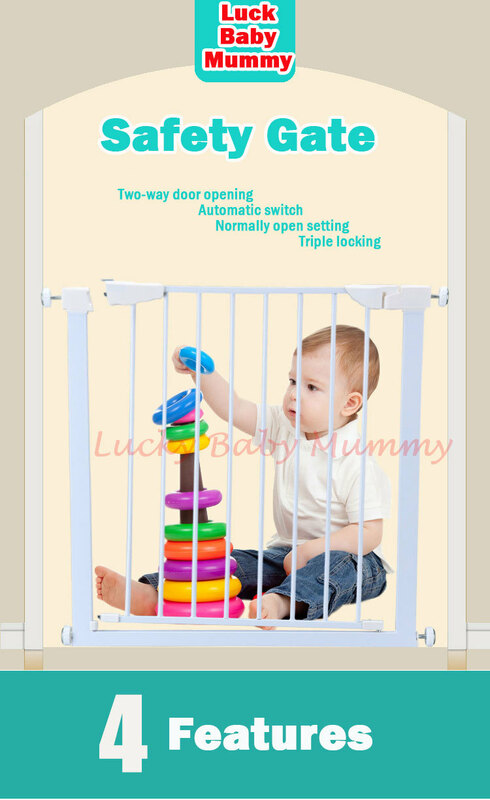 For 100cm and 75cm height, you can measure your door on top and bottom sides and make your order according to the table bellow.